Over the weekend I got inspired by this beautiful bird walking in the grass. Unfortunately, I do not know the kind of bird. The colors were beautiful and so different than the traditional brown birds in the neighborhood. I went home and thought I would create 3 different nail designs using colors similar to the bird. Enjoy! 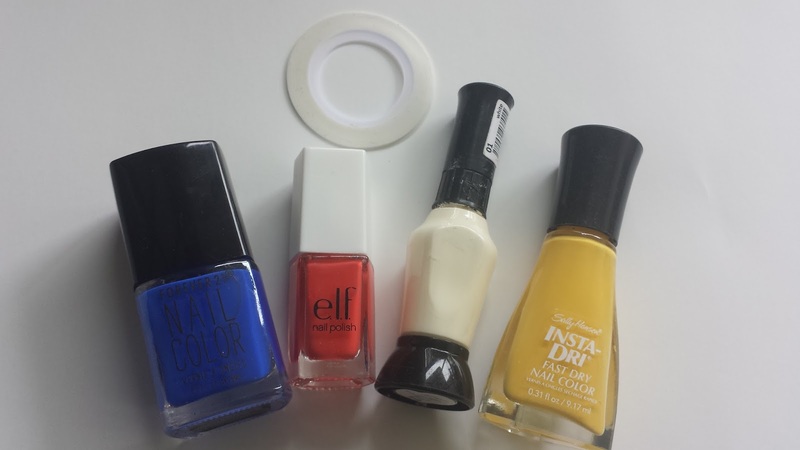 We will be using the following items for all 3 nail looks. Step 1: File all nails to desired shape. Step 2. Add base coat. 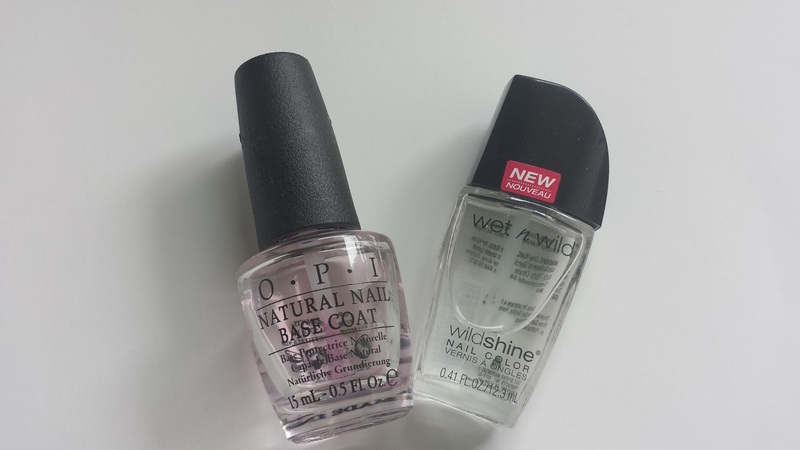 I am using my favorite OPI Base Coat. Step 3. 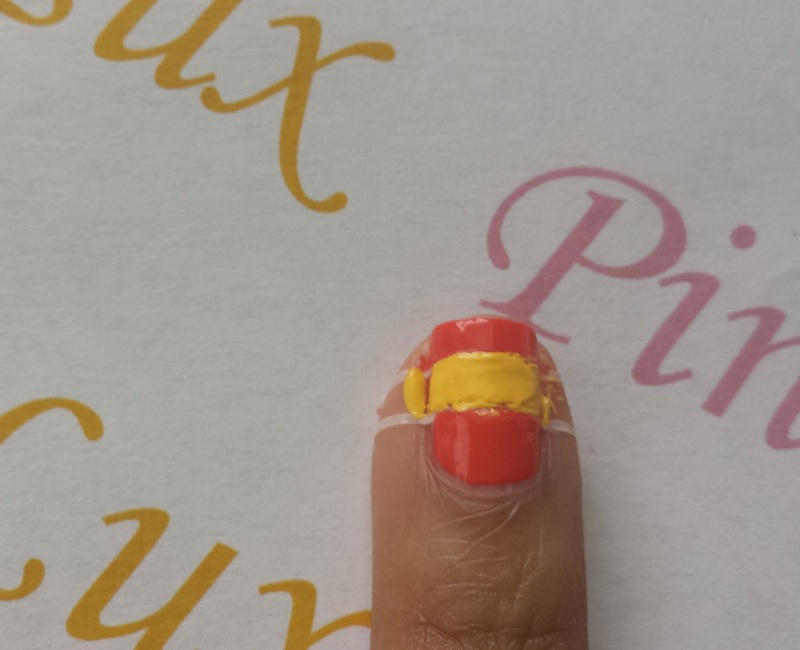 Paint two coats of Mango Madness polish on nail. Step 4. 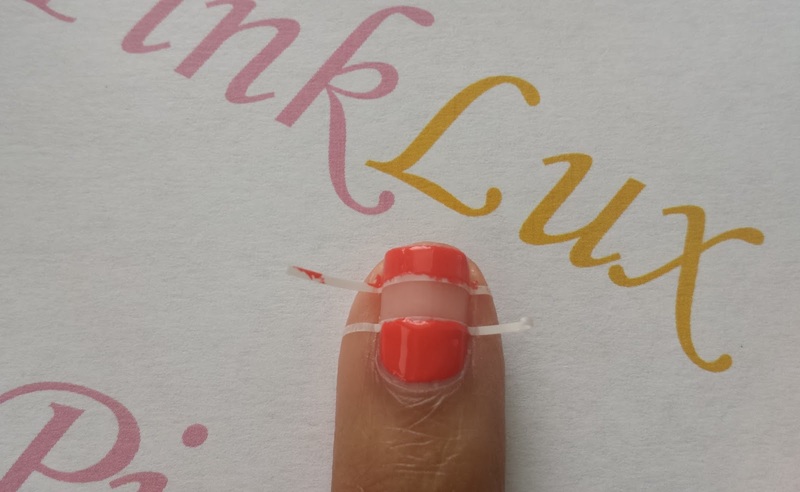 Use Marina to paint slanted line across the nail. Step 5. 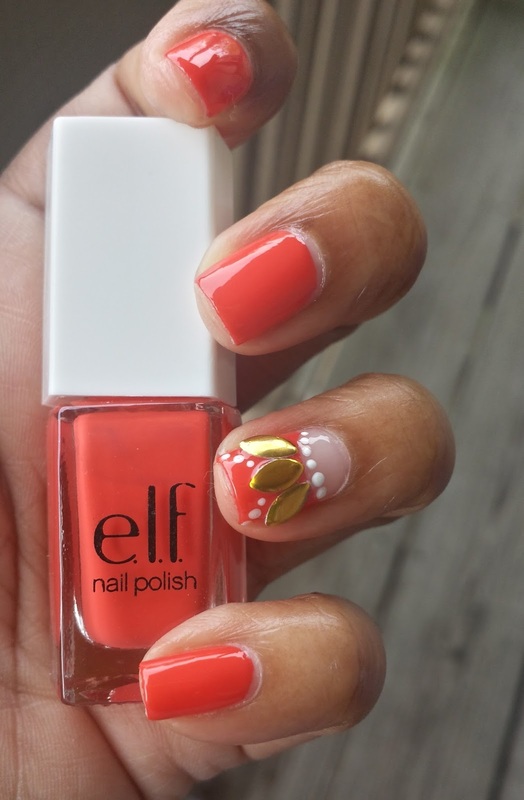 Using a tooth pick or dotting tool, paint white dots along the slanted line. Step 6. 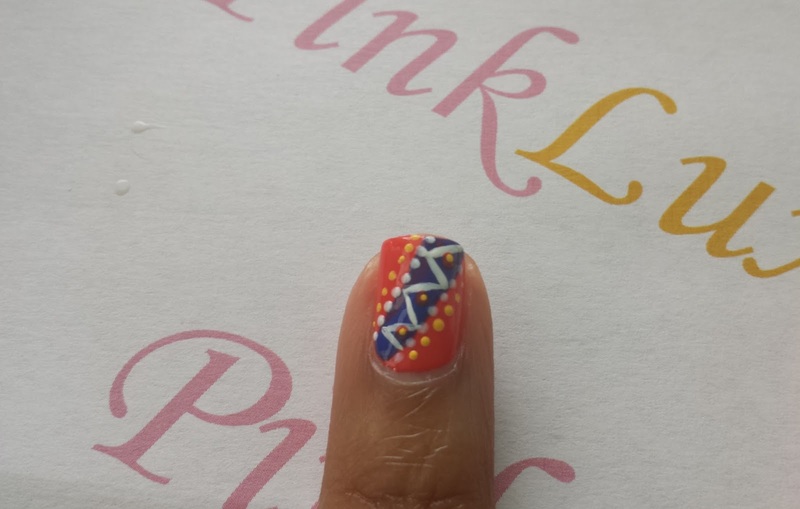 Use white nail art paint a zig zag pattern on top of slanted line. Step 7. 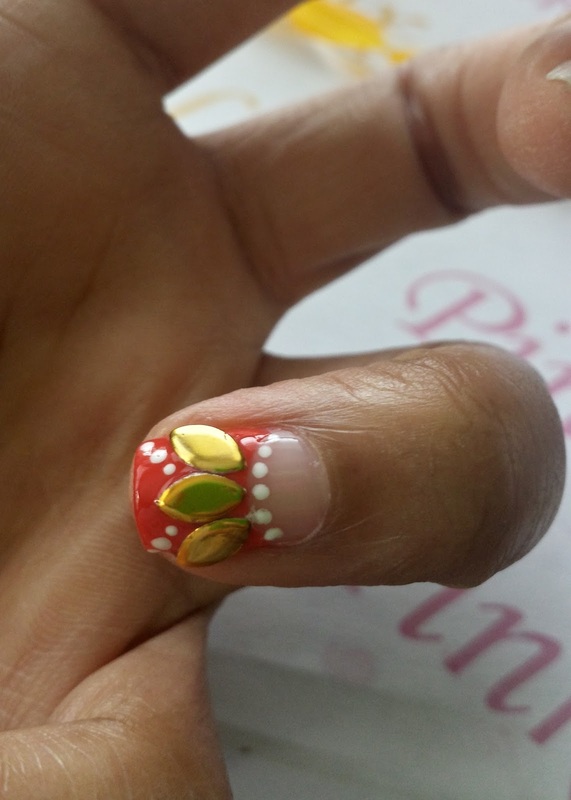 Use a dotting tool to apply yellow dots beside the white dots. Step 6. Finish with Wet n Wild top coat. Step 1. Apply guide strips. Step 2. 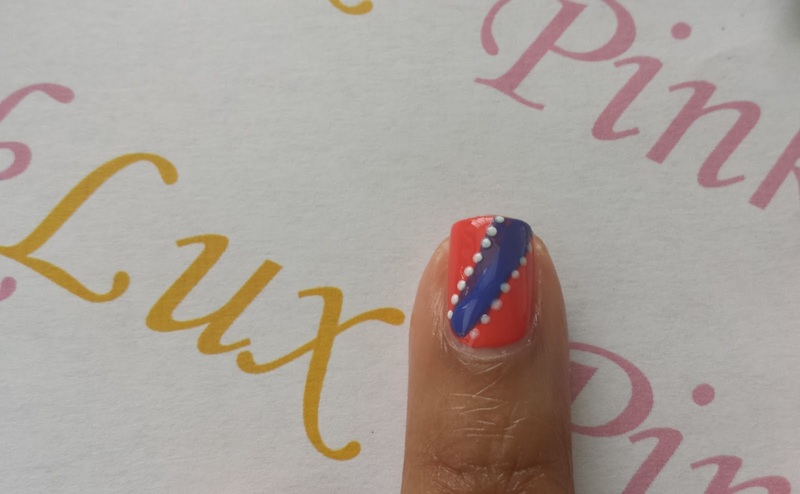 Paint top and bottom portion of nail. Step 5. 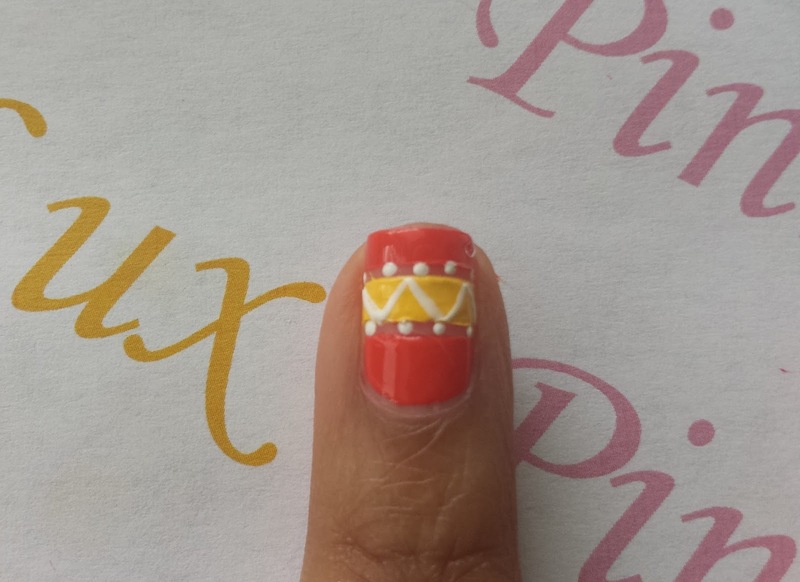 Using a tooth pick or dotting tool apply dots in the clear space. Step 6. 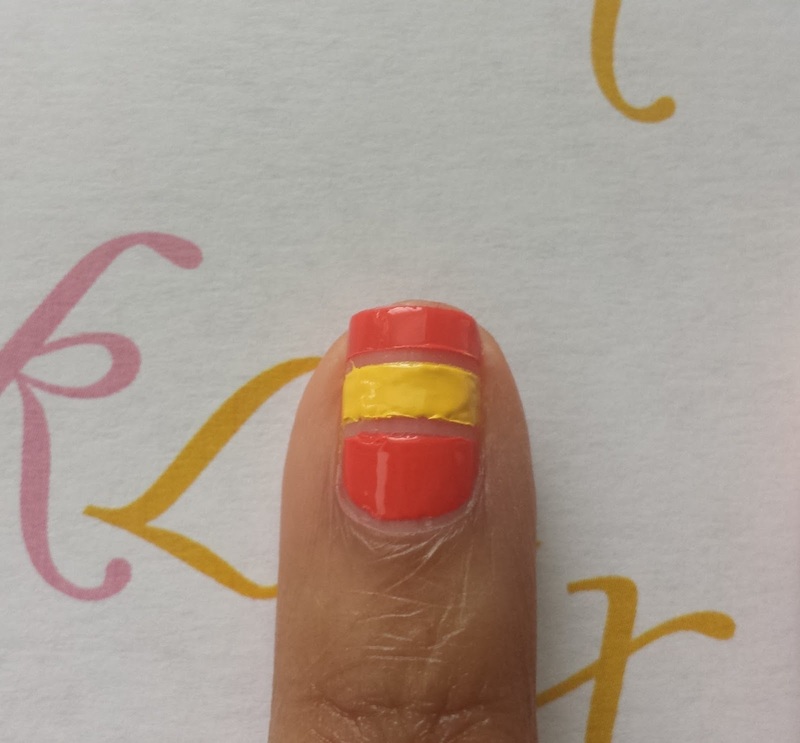 Use the white nail art polish to apply zig zags on top of the yellow polish. Step 7. Using a tooth pick or dotting tool apply blue dots between each white dot. Step 8. 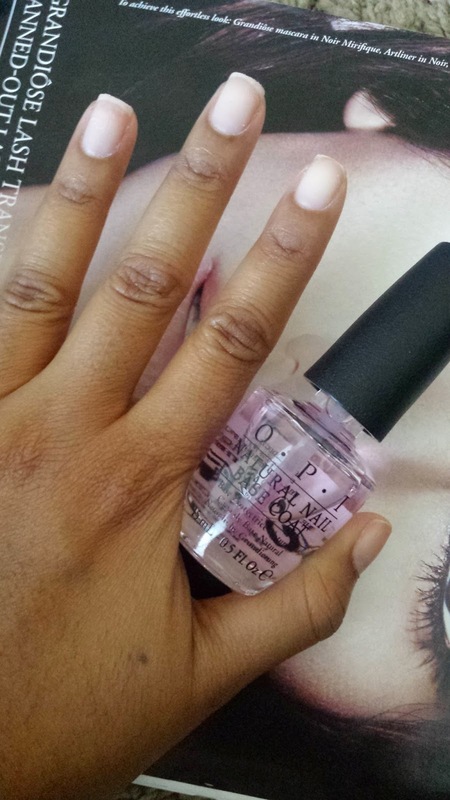 Apply top coat to seal all polishes. Step 1. Paint polish in half moon design. Step 2. 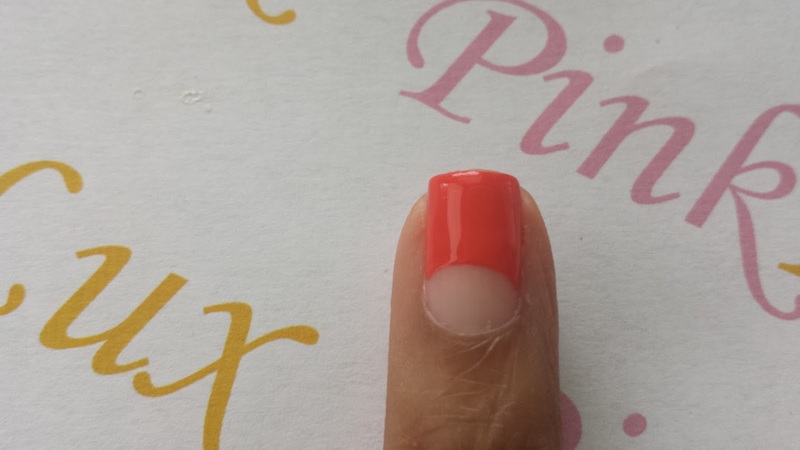 Using a dotting tool or tooth pick, paint dots around the half moon. Step 4. 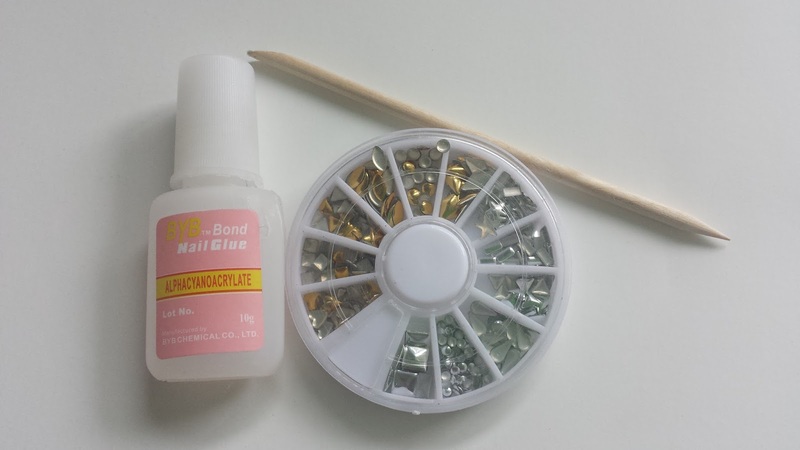 Polish the rest of your nails. 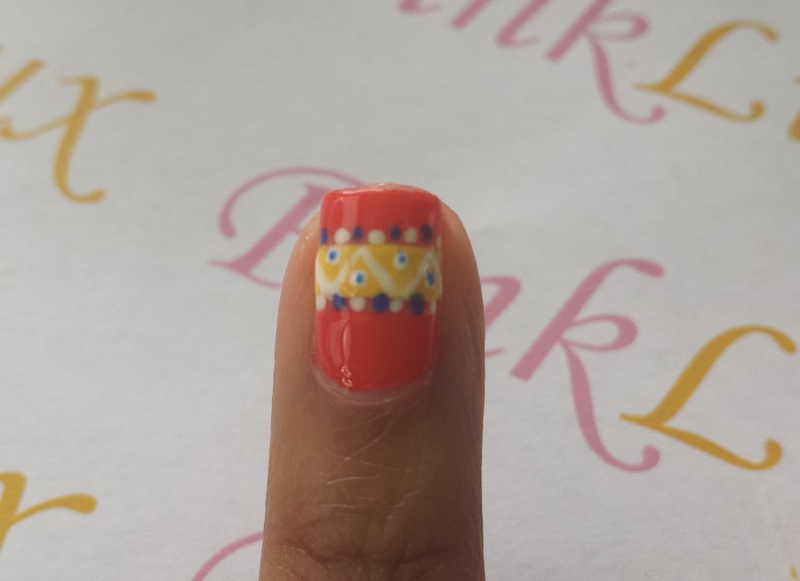 I hope you enjoyed the 3 nail art designs. I think these are perfect for Spring and Summer.